Trying to envision how a new garage door will improve your home’s curb appeal? You can upload a photo of your home, or choose a photo that looks similar to your home from the existing templates. Our Door Designer will walk you through the process of designing the garage door of your dreams. Now, it’s easy to compare different designs, styles, and even colors before deciding which replacement garage door to buy! Step 1: Upload/choose template home photo. Step 2: Choose one of the door models from the list. You can find information on each model on our Residential Garage Doors page. Step 3: Choose design options (door color, windows, handles, and hinges). Step 4: Review your design.  Step 5: Request a FREE quote on your door of choice by simply copying and pasting the information from the review screen into the online scheduler below. Step 6: Absolute will come to your home and take measurements of your door in order to purchase and install your new garage door! Want to speed up the purchasing process? You can get pre-approved for financing right on our site in just a few minutes! Head over to our Garage Door Financing page for complete instructions. WHICH DOOR SHOULD YOU CHOOSE? At Absolute Overhead Door Service, we want our customers to have as much knowledge about their future purchase as possible. After all, the garage door is the largest moving object in your entire home. Our owner has outlined all of the doors in detail on our Residential Garage Doors page. Not sure which is best for your home? Give us a call at 502-561-8444 or book online below, we’d be happy to set up a FREE design consultation with you!